I met this lovely woman sitting outside a mall and I thought it would be nice to say hello and have a chat. 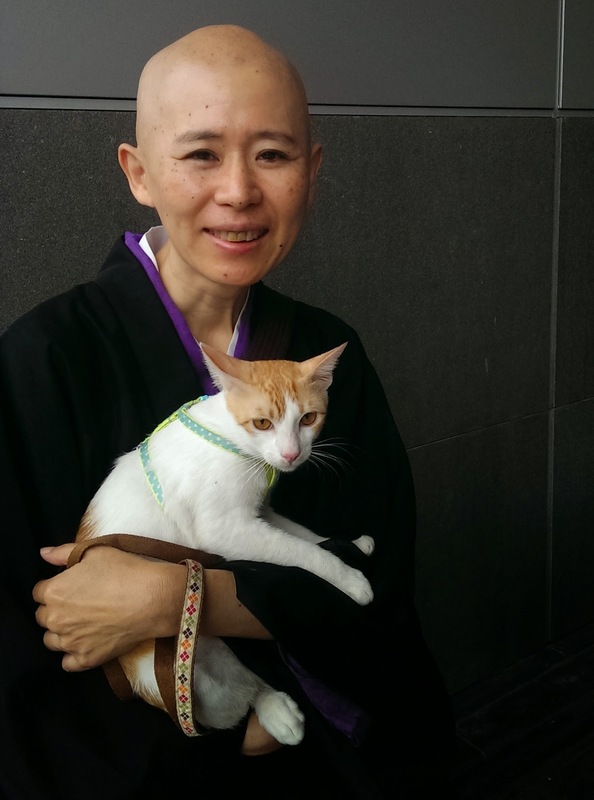 She is a Buddhist monk and this is her orphaned kitten shes recently adopted and quite nicely named ‘Gold Luck’. Was a fascinating conversation, shes originally from Japan and since then has travelled to over 40 countries! She decided at the age of 14 she was completely satisfied with her life and nothing more could be gained so would therefore like to use her time to start helping others and her journey as a Buddhist begun. This way of life has always interested me, sometimes it’s seems so farfetched compared to my own life and my love for gadgets but then there are aspects and values that can apply to anyone like the caring for anyone and anything. One thing I struggle to understand the most is meditation and the ability to clear the mind. It’s been one of the things I think I could find most beneficial on my bucket list. Im not sure about you guys but I for one have plenty of thoughts flying around in my head that don’t turn off with the flick of a switch. I’ve noticed while I work it can be both distracting and destructive or when I manage to channel it properly can be powerful and productive. Either way I usually end up with work I’m proud of but with the expense of time. Shes says meditation can help achieve this focus and unlock further parts the brain while feeling a much better connection with the environment. It may take some time but I hope one day I learn this kind of inner peace.